These photos were taken on July 23rd, 2015. 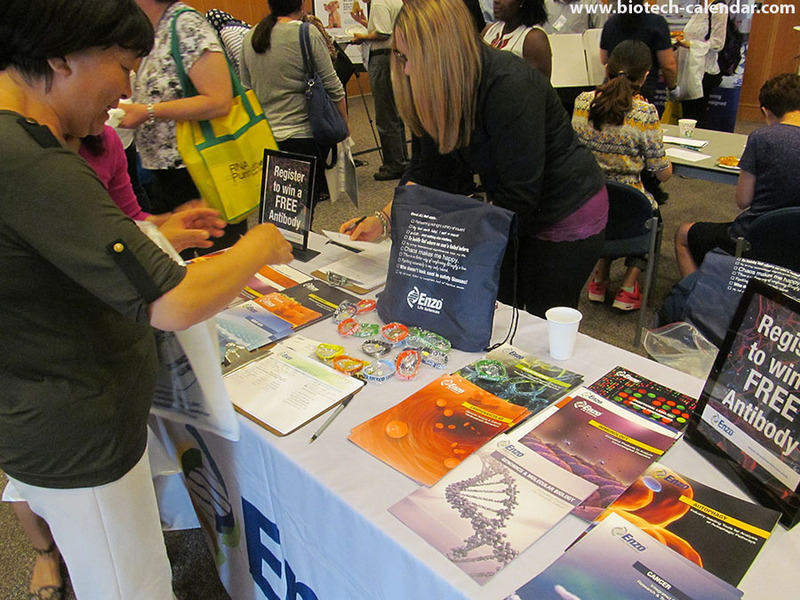 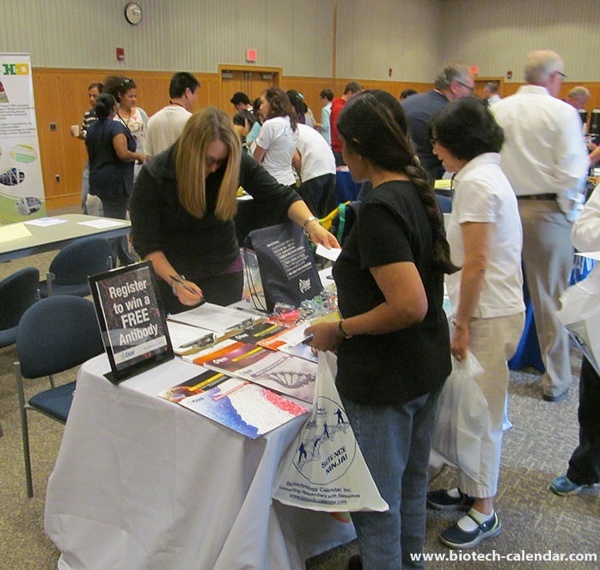 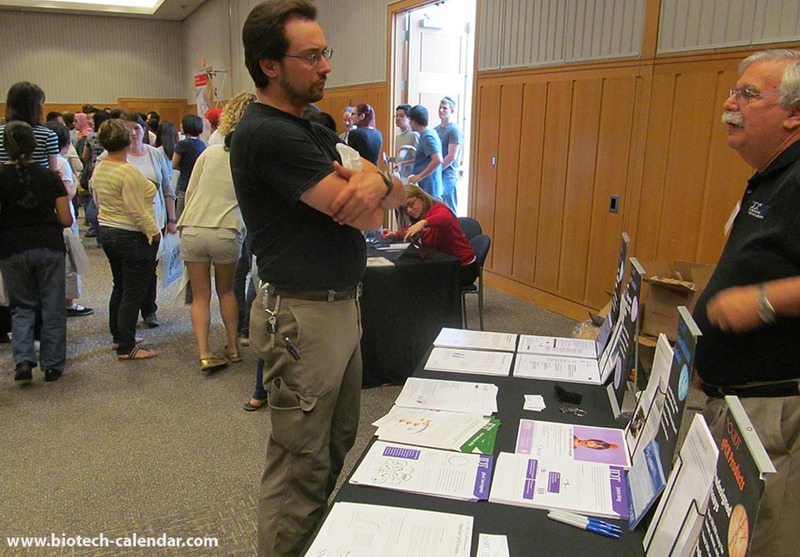 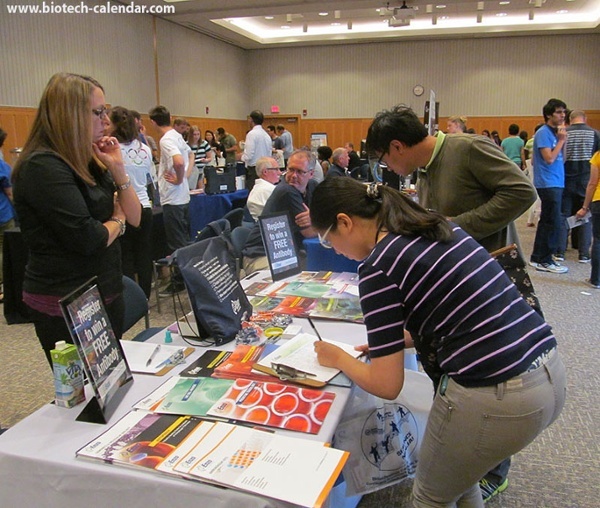 Scientists fill interest forms for a life science exhibitor at Ann Arbor's BioResearch Product Faire™ event. 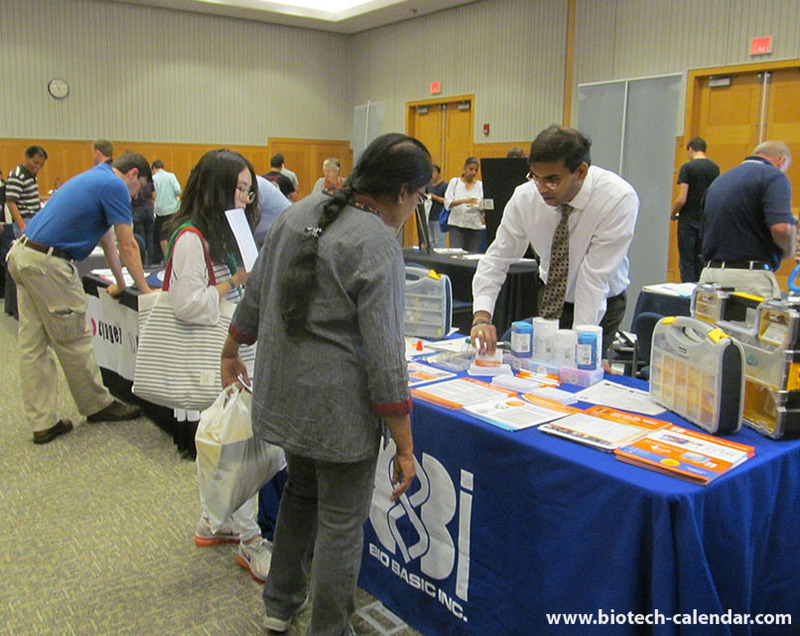 Bio Basic Inc. keeps up to date with current life science events to help provide researchers with the best products in Ann Arbor. Researchers gather to examine new hardware and talk current events at the BioResearch Product Faire™ event at the University of Michigan. 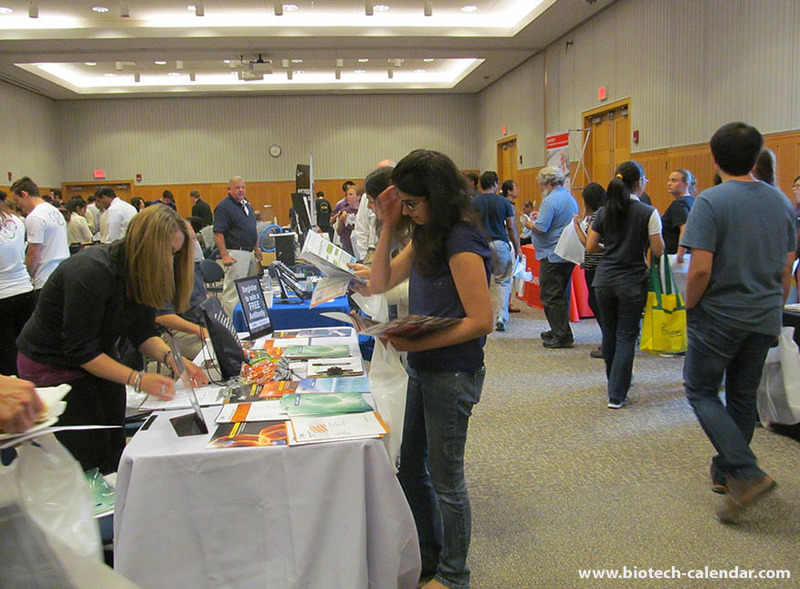 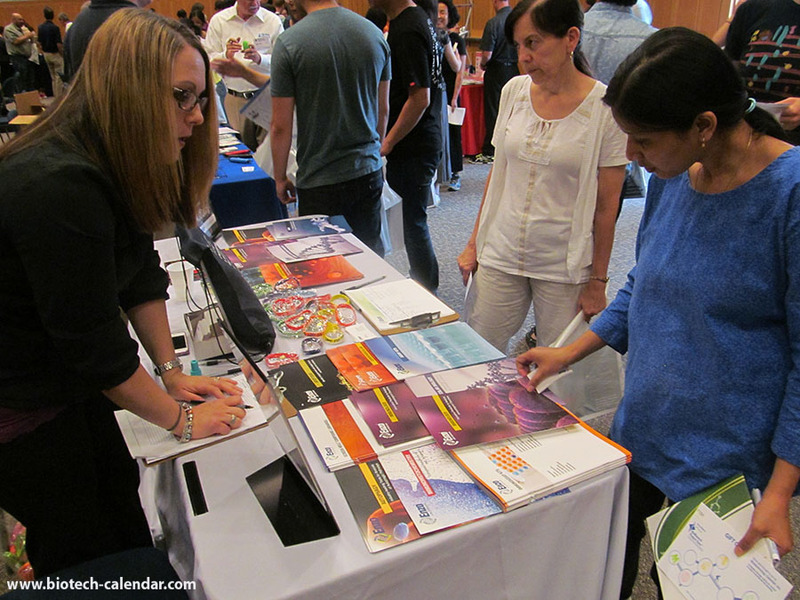 Laboratory scientists exchange contact information with a life science exhibitor at a BioResearch Product Faire™ at Ann Arbor. 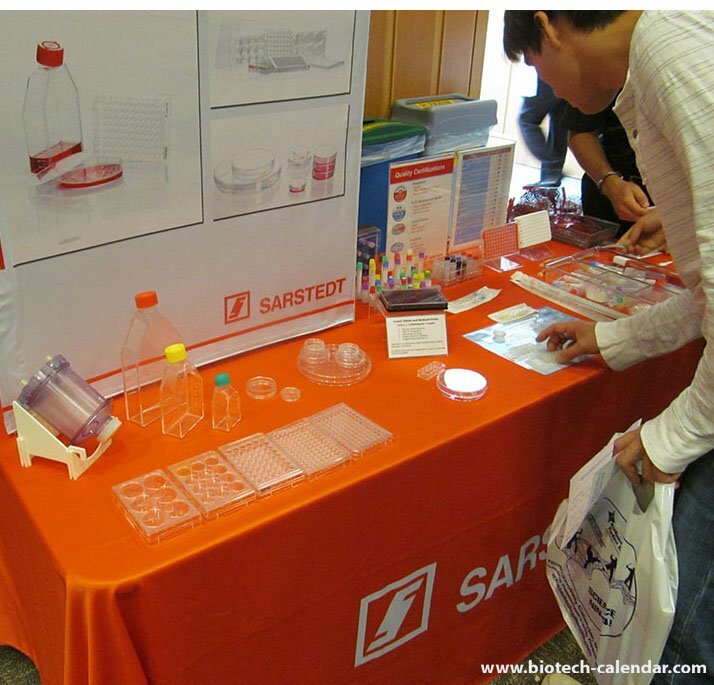 Sarstedt, Inc. offering hands-on samples for laboratory researchers to examine as a part of their exhibit at the BCI event in Ann Arbor. 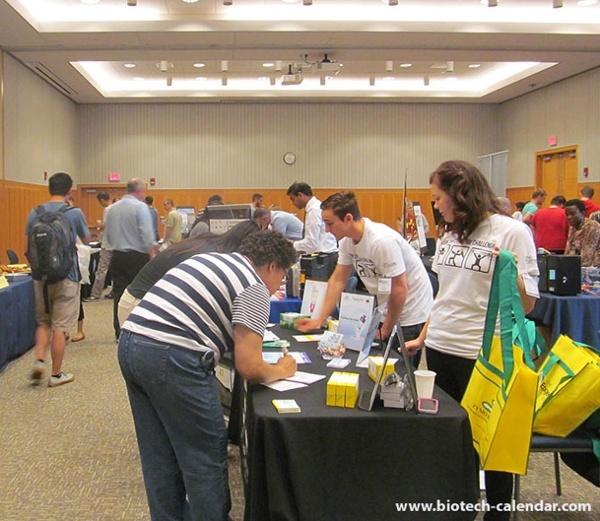 The BioResearch Product Faire™ at Ann Arbor gives local scientists the opportunity to discuss current events and ask questions on products and services. Keeping up with the newest life science technologies allows exhibitors to help researchers find the products and services they need at the BioResearch Product Faire™ at Ann Arbor. 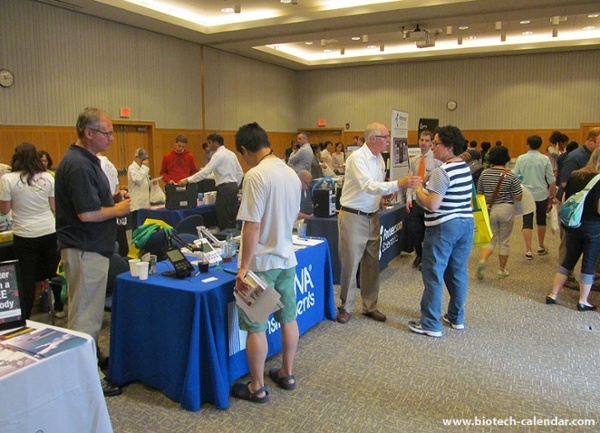 Life science vendors can make the most of their exhibit spaces with full tables at the BCI events like Enzo at the University of Michigan. 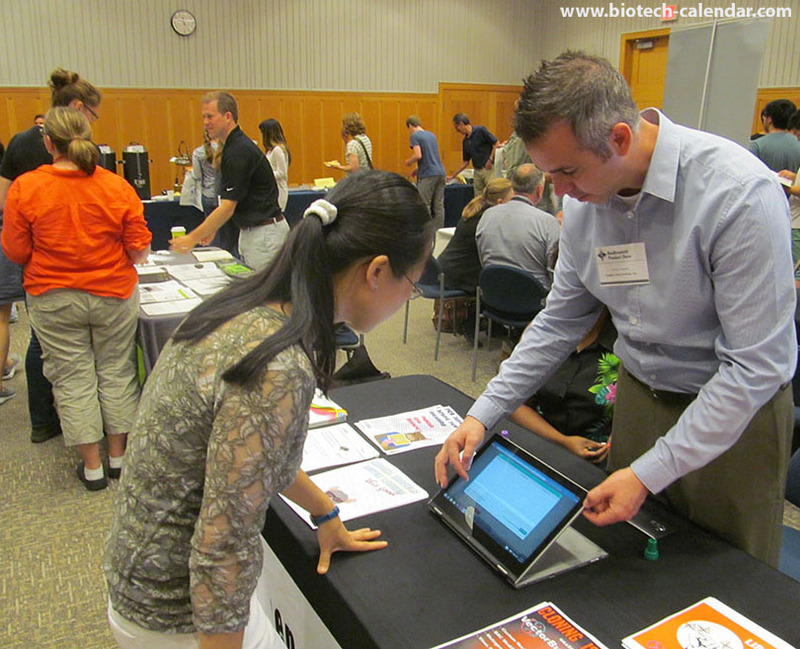 A vendor uses a tablet computers to display new events and laboratory products available at the BioResearch Product Faire™ at the University of Michigan. Physical samples help science researchers see the newest technology the can procure at the BCI science fair at Ann Arbor. 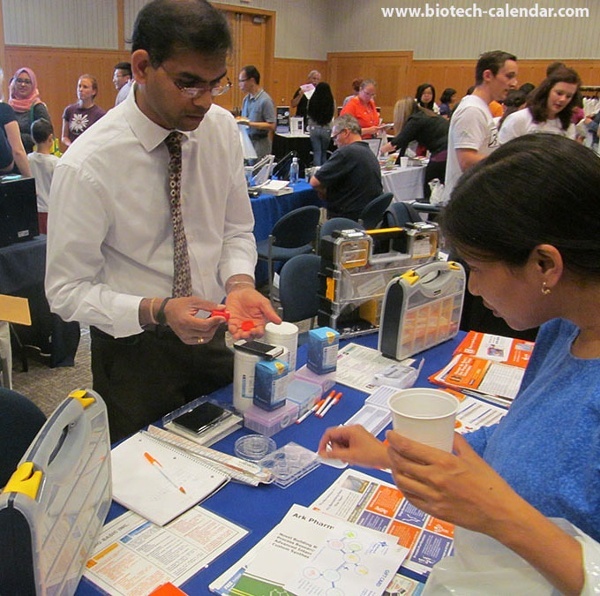 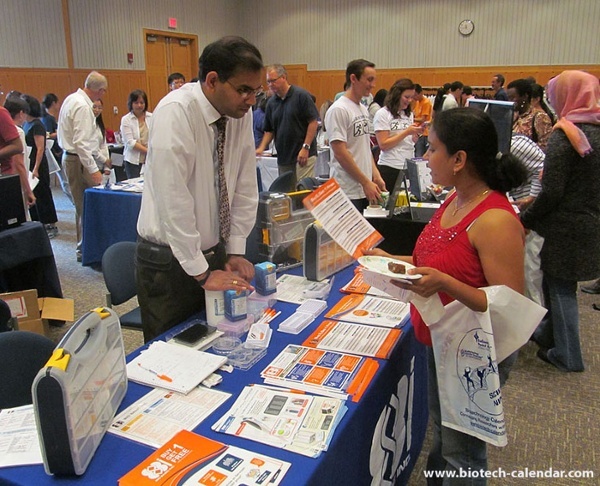 Life science vendors have one-on-one conversations with laboratory professionals to discuss current events and technology at the BioResearch Product Faire™ event at the University of Michigan. 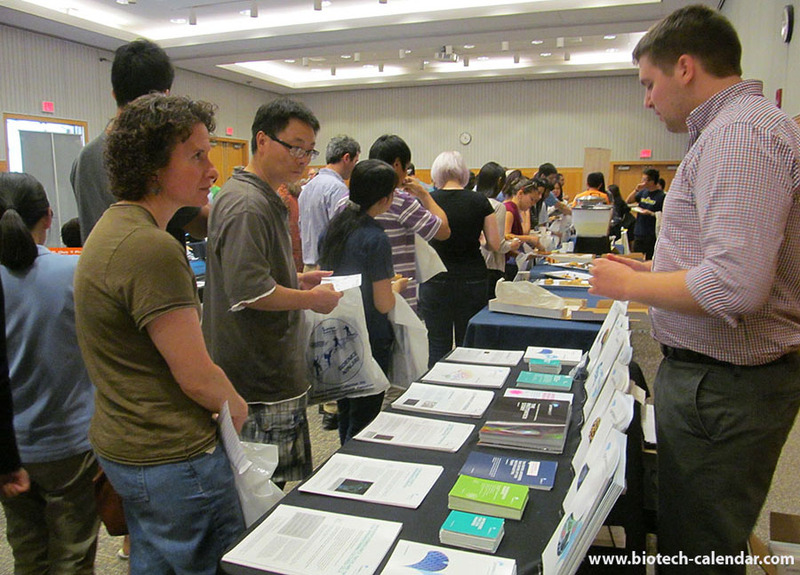 Laboratory researchers view equipment and services overviews that exhibitors have to offer at the BioResearch Product Faire™ at the University of Michigan. Life sciences research assistants attend the Ann Arbor BCI science fair in search of lab equipment and experiment supplies. 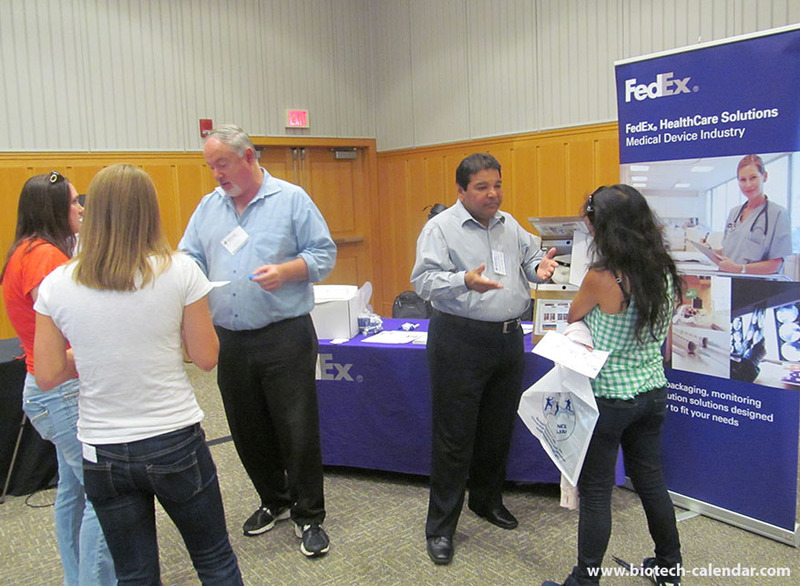 FedEx representitives give one-on-on explanations about new packaging aiming to help protect important lab equipment at the BioResearch Product Faire™ in Ann Arbor, Michigan. Gathering vendors in a central location aids biotech reseachers in finding new science tools at University of Michigan, Ann Arbor BCI event.